Road trips have their own hard earned magic. There were days I woke up the middle of the desert and went to sleep in snowy mountains. You earn the destination day by day through the hours spent in a little metal box belting out power ballads to preserve your sanity. During our month long trip, we learned that packing some road trip essentials helped to conserve our sanity just as much as sing-shouting Bohemian Rhapsody. Here’s the list of things that made our trip across the U.S. with our dog. 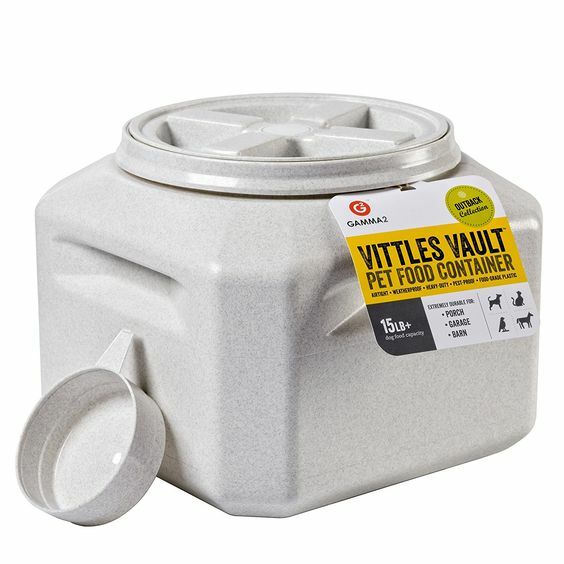 Airtight Dog Food Storage Container : Since we spent a month on the road, we needed a food storage container that would safely store a good amount of kibble and not attract wildlife. Water Bottle and Collapsable Bowls : Having lots of collapsible bowls handy is so useful and they take up virtually no space. We tucked them away in the car doors and our hiking backpacks. It’s also great for your dog to have their own water bottle so you can pour back what they don’t drink to conserve water. Dog Seat Belts : Having a dog buckled in is akin to buckling yourself in. 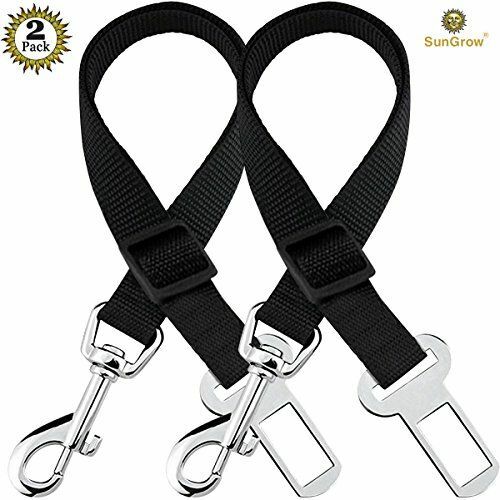 It increases both the driver and dog’s safety by preventing things like your dog climbing up and hitting the transmission. Dog Seat Protecting Hammock : One of all of our very favorite things. Having a hammock seat protector keeps the upholstery clean, makes it easy to pack things in the foot space out of reach, and prevents injury from slipping and sliding off the seat. Plus, Miley really enjoys the feel of the hammock and lounges in the part of it that hangs. Dog Sleeping Bag (if camping) : If you’re going to camp and don’t have a dog small enough to spoon in your sleeping bag on chilly nights, it’s really great for them to have their own sleeping bag to keep warm. Dog Shampoo and Brush : Since it is impossible to keep Miley out of bed with us, shampoo and a brush was necessary for dusty or muddy hikes and saved us from having a very dirty hotel room. Baby Wipes : Easily the most versatile thing, we used baby wipes for everything; wiping paws and hands alike, removing dust from fur in a pinch, and some less glamorous tasks. Plenty of Poo Bags : Always pack more poo bags than you think you’ll need. I personally like biodegradable ones, visiting state parks makes me want to conserve the beauty of our landscape and put as little plastic into the earth as possible. You can see the packing list with links to the product’s Amazon listing on this Pinterest Board. Ultimately, being prepared saved all three of us on the trip a lot of stress. Both human driver and passenger were happy and so was Miley, who’s longest car ride prior to this trip was about half an hour. She did great and we were so proud of her! See my next post for Tips for a Successful Journey.